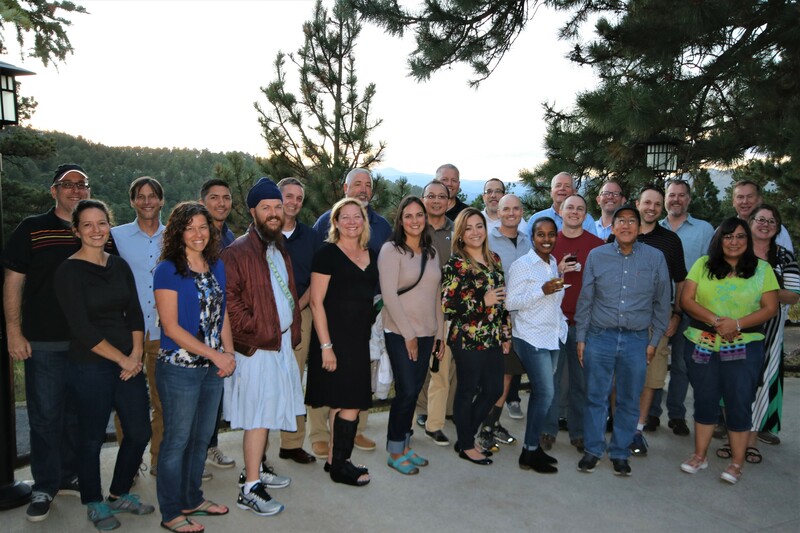 The Colorado DOT hosted MS2’s bi-annual DOT User Conference at the Magnolia Hotel in Denver September 18-19, 2017. We had an excellent turnout of 33 people representing 12 of our 15 state DOT clients. On Monday evening we had a client reception at the Broker Restaurant in Denver. This gave us a chance to catch up with old friends as well as personally introduce ourselves to our newest clients in the user group. After dinner we had a presentation from Dr. Farnoush Banaei-Kashani, a professor from the University of Colorado-Denver. The evening was fun, informative and was held in a unique and historic building. On Tuesday we began the conference with a look back at MS2’s 20-year “Road to Success.” Since 2017 is the 20th anniversary of the Traffic Count Database System (TCDS) we thought it would be good to feature this timeline. Each DOT had a chance to present interesting ways they use MS2’s software, ideas for improvements in the software and ways MS2 can help their work flow more efficiently. BJ gave a talk about common issues and helpful tips using our software and Ben talked about MS2’s new auto-polling software extension. Donna Lee, MassDOT’s manager of state-wide traffic monitoring gave the group an idea of how MS2’s auto-polling extension works in her state. Other presentations from Patrick Zhang of FHWA, Wes Maurer of CDOT’s ITS Division, and MS2’s Steve Wiggins and Ben Chen rounded out the conference day. In the evening we hopped onto a bus that took us to an historic lodge in Golden, Colorado where we unwound with drinks and dinner and a view of some of the highest peaks in Colorado. Guys, Just a note to say thanks for your hospitality and your efforts in putting this meeting together. It was good to see you guys. It was also great to talk and listen to our colleagues using the system and how we can make it better in the future. We hope to see all our DOT clients again at the next DOT User Conference currently planned for Helena, Montana in September 2019.